How many Americans have heard of Bitcoin? Check out this survey to find out! Bitcoin has been all over the news recently. At first it was because it was making higher highs seemingly on a daily basis, but now it has been in the news as countries seek to figure out to best regulate it. Either way, it has captured the interest of the financial media as well as the general media. To better quantify that level of interest, take a look at these numbers released by LendEDU. 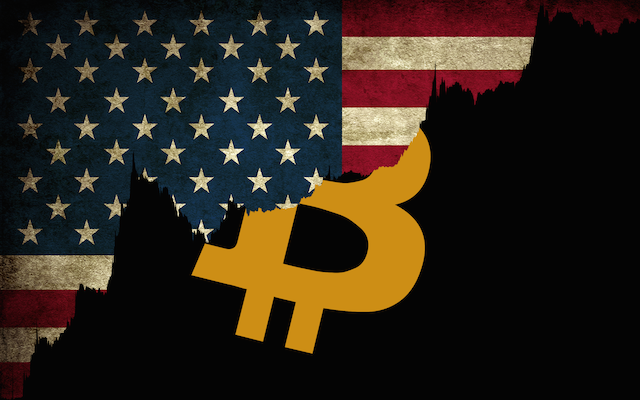 How many Americans have heard of Bitcoin? Of those who have heard of Bitcoin (78.5% of the population), how many think Bitcoin is illegal to own in the United States? Answer: Roughly 11% answered that owning Bitcoin is illegal in the US. While another 48% claimed they were unsure of it's legal standing. Of those who have heard of Bitcoin, how many have actually owned it or would be open to using it in the future? Answer: Roughly 14% have ever owned it, but roughly 40% were open to using it in the future. Roughly 34% were undecided about using or owning Bitcoin in the future. *There was a strong correlation between age and answers in this poll. The younger the American, the more likely they were to have heard about Bitcoin and were more likely to be open about using it in the future. A similar poll was done in 2013, and that poll showed roughly 42% of Americans had heard of Bitcoin, vs the current 78.5% number. People are becoming more aware! "any publicity is good publicity". If this poll is any indication, the future of Bitcoin and cryptocurrency is bright as the younger generations are more likely to want to use these kinds of currencies as forms of payment or investments. Good post. 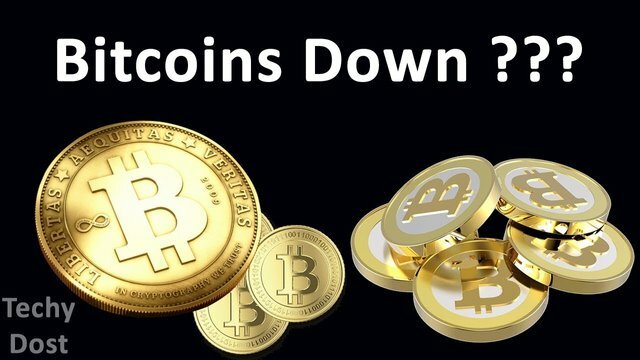 I am shocked when I talk with people and they have never heard of bitcoin or other cryptocurrencies, but your research shows there are still some out there who need to be educated! Not only in the US! 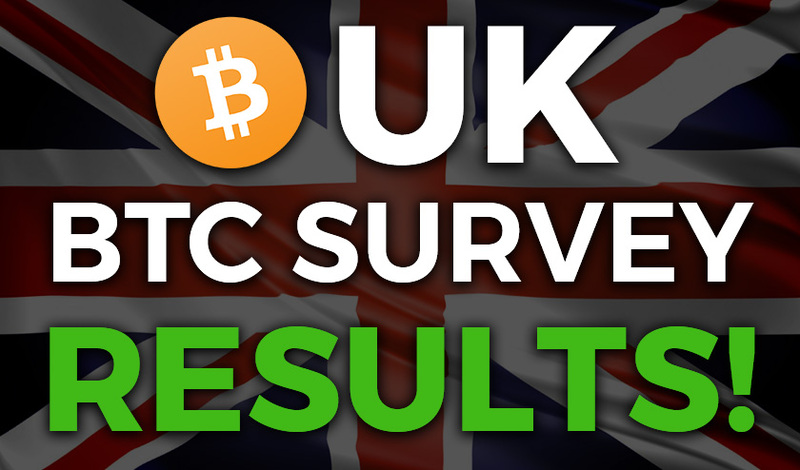 Today I published the result of a Bitcoin Survey in the UK, the results will surprise you! The older generations are very reluctant to change. They just don't want to be bothered with all the new tech stuff. the way I see it: the future of cryptos is firmly in the hands of the millenials. If this survey was broken down into various age groups, the results would be heavily skewed towards the the Under 40 category. The boomers, many of whom are precious metals bugs and stock market investors, just don't want to hear about bitcoin. In their minds: bitcoin is "not backed" by anything. spot on. I am 43 and am definitely old on here. I hope people (younger guys) remember that gold and silver are for the times when the crypto's don't work. It seems like some younger people dismiss metals. I see the value of crypto's but it is a nightmare to negotiate from a micro-investors mindset. It seems you have to go by instinct mostly after you digest thousands of hours of information. Great info thanjs for sharing!!! why does it need to be regulated? JP Morgan has been very smart. With few words he pulled down the price of BTC to 2.900$, he bought a ton of BTC and now He has 1.100$ of added value per BTC. It was all a giant marketing move. True there was a buy of BTC by a JPMorgan... however it could have been bought by an actual trader who works for JPMorgan on behalf of "someone" that wanted to buy. Not disagreeing... just saying that it might be misconstrued or news that is being taken out of context. Well government want it to be regulated so they can tax it and control its value. However the point of it is its decentralized so no one govt can control it. Its a beautiful thing. To make government richer, to control its power, to control the people. Roomer on reddit says less than 1% of the world own bitcoin or just cryptocurrency in general. Time is ticking till this becomes mainstream! I thought it was a physical coin and that they would have to be mailed to me. I didn't know about the bitcoin address and got confused thinking it was mu address. I didn't know about the bitcoin wallet at all or that it would need to be downloaded. hey @cleverbot when did you find out about bitcoins? Have you heard of The Legend of Zelda series? I think bitcoin will skyrocket just like john mcafee said conservatively 500,000 dollars per bitcoin. I have also heard of long term estimates of 1.5 to 3 million per coin. This makes sense to me because when I talk about it to my friends and family they dont know what it is or the dont know how to purchase bitcoin. I beleive when a majority of the world realizes that there is a decentralized currency out there the sky is the limit in my humble opinion. I upvoted this post. Hey Modiggy, am from Africa - Uganda and people here are picking so much interest because the currency here is rubbish. Only problem is most people can only afford low value transactions. Hi my friend you can buy fractions of a bit coin like small amounts there are many sites were you can create a bitcoin wallet and purchase as low as 10 dollars worth of bitcoin I can suggest one site that I personally like and that is paxful.com, you can even use gift cards to purchase some. I hope this was helpfull my friend because I believe we all could make some good money on this. Wow thats a long time, anyway best of luck. 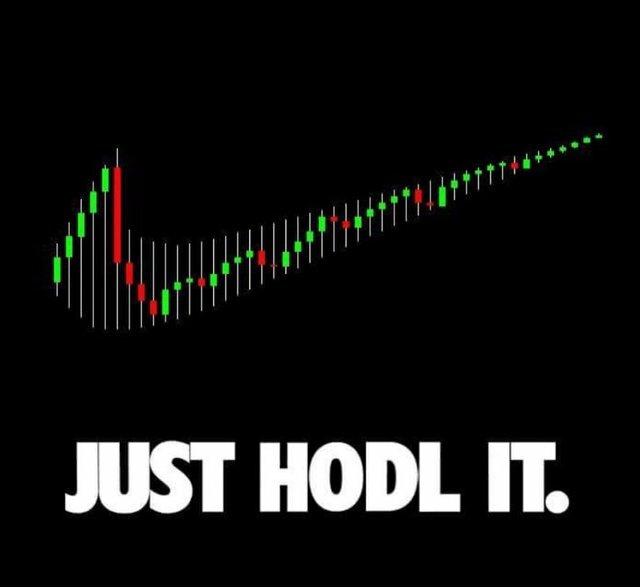 Hodl on to your 0.01 btc. It will be worth a fortune in the future. No, i believe in a conservative(IMO) estimate of $50,000 USD per btc by 2027. That's been my investment strategy. Accumulate 10 btc and just park em, never look. I got in late but still made my goals without hurting the bank account too much. Also i believe the 95% of tokens/coins you see on any exchange will fail within a few years. I have picked a handfull that i believe will increase 500 to 100% in 5+ years and invested in them as well. People that are not daytraders and well versed in this need to be mature and look at the long game, that's where you'll do best. But I have much respect for the folks that can have the balls to flip btc and other top coins. People made fortunes over the last week. Unfortunately my friends and family seem to be hyper-paranoid about Bitcoin. I have been trying to explain the basics of how it works, but they all just think I'm crazy to buy such a risky 'fake' currency. There's so much push back, but I'm hoping they change their minds when they see that it really is becoming more acceptable every day, (not to mention the potential profit). Stick to your convictions... my guess is you're going to be smiling some day... and then you can just be the good person that you are and help them get on board when they are ready.... or it's a necessity. Wow that is surprising. I would of thought it would be lower. As I've just made my first Bitcoin transaction today, I feel terribly smug after reading this... not to mention I feel younger! hi, nice to read about you. i am, sajedul ahmed, from bangladesh,am also new on steemit and welcome you to steemit. i have followed you. so, can also follow me plz.and plz upvoted my post. Analyst Tom Lee recently pointed out (in a CNBC clip) that bitcoin is not especially widely held at this point. His analysis reveals there are only about 300,000 holders of at least $5,000 USD worth of bitcoin. I wish we had data on holders whose wallets have smaller sums. In any case it will be interesting to see what the future holds as that 14% figure grows along with the more pervasive knowledge of bitcoin and it's use cases. Yes it is making the news a lot and that is great. The powers that be that are trying to mess with it are actually creating this snowball effect because every time they try to tamp it down it comes back stronger with more people on board!! I would say 98% of the people I ask have never heard of it. Which really surprises me. Is everyone asleep? Most of the people I know have heard the word 'Bitcoin' but have no clue to what it is. Agreed. Many people know what the word is, but don't really have an understanding of it! Interesting survey, I find the figures to be really high. I think the result would be different here in Australia. Sure we heard about it know, but still far to be used by the mass. Should be interesting to know about a similar survey in France... I'll try to find it. I told quite a few friends about Bitcoins and they were a bit skeptical. I've known about BTC since 2012 - owned some, transacted with some, sold some, profited with some... but a +572.85% year-over-year appreciation versus the USD makes me pretty skeptical too. So, 19% of the Americans who know about Bitcoin still in favor of it. That's cool. Thanks for sharing these stats. Good to see it becomes more and more widely adopted! The bigger it gets the harder it gets to take down! Interested in crypto? Check out my channel! Guides, trading tips, ICO heads-ups and more! I'm actually surprised the percentage saying they have ever owned it is 14%. That seems high to me. That is 42 Million people approximately that have owned it. It just seems like a lot. And they say dinosaurs never existed , they walking the street all over town folks !! And not only the Americans will let it burn. For sure all crypto s will go sky high. Its just a matter of time and trust. Really glad that I'm in the 14% of that 78.5% and Hodling... maybe the snowball effect you mention is my ticket into "the 1%" haha. Only 300,000 people from around the world hold $5000 or more of bitcoin. There's still lost of opportunities for growth. are you serious?! only 300,000? This is precisely why I am HODLing right now. Wait until we reach 90% of Americans knowing. I think a better survey would be: Of the people that have owned Bitcoin, how many have a deep understanding of it? Yeah it's crazy how big the percentage of people that does not even have a clue what bitcoin or crypto is. When I tell someone get 30% in a week on your investment they are like Ponzi mofo alert. Lol. well that may be true, but more important is how many of them are aware of it's potential, it's not neccesarily a good thing if many people have heard about something because if they are not well educated it can just add to the FUD. As informed bitcoiners it our responsbility and als in our best interest to educate people on blockchain and it's enormous potential. 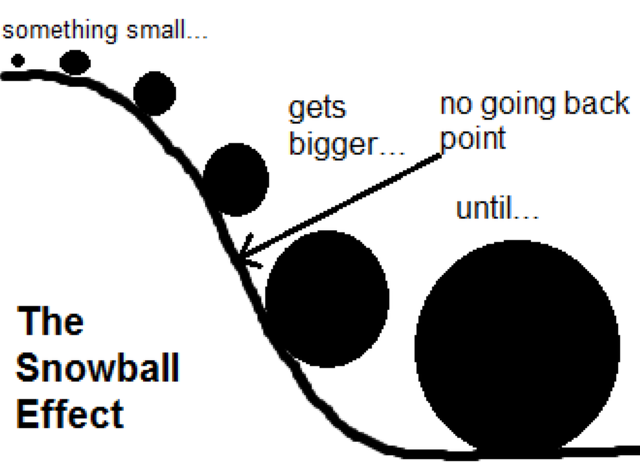 I like the idea of the snowball effect. Yup, the snowball is rolling. The mainstream society knows of bitcoin but are still getting comfortable with it. Posted about the short segment on CNBC today talking bitcoin. Love every time they have it on as it will just become more comfortable to people the more and more they see it. that's quite a bit more awareness and openness than i was aware of. mr. dimon better work with his pr team on his message! @clumsysilverdad I agree with you! However, owning Bitcoin and understanding it are two completely different things my friend! the key number here is 14% that have ever owned bitcoin. That is actually a lot. I would have expected more something around 10M out of a 200M us adult population, which would be closer to 5%.